Ranking your website in top search engine result pages or SERPs requires strategic approach to your website’s key designing elements and marketing efforts. Here, we have come up with key features of your SEO blueprint that will help your website rank higher in SERPs. You need to work smarter, not harder. The mistakes that webmasters often do is that they try to rank for a single keyword at a time, which is not the right approach. A better way would be to target hundreds of long tail keywords with target keyword theme. Add as many qualifiers as possible to your keywords. Qualifiers include finer details like date and time, price, quality and location. Uber-suggest can be used to run query and export hundreds of keywords that are based on Autocomplete feature of Google, which will prove helpful in finding the qualifiers for you target set of keywords. You need to find out whether you can actually rank for your keyword phrases. Automated tools like Keyword Difficulty Tool calculate difficulty level for each keyword based on individual keywords phrases on a scale of 100. Keywords with difficulty level of 60 and above are considered highly competitive, while those in the difficulty range of 30 to 40 are considered moderately difficult. You also need to consider if the keyword is in the title tag, URL, domain authority of the URL and inbound anchor text for this purpose. Content without value is as good as spam. You need to create value in terms of utility, point of view, emotional response and perceived value that will help build links by itself, which will create you a loyal fan following in the long run. Your content need not excel on all of the above four parameters, but it should excel in one or more of them to be of real value for the readers. It’s the depth of content, not its word count that matters. It will help your website rank in several ways. By adding uniqueness, deeper logic exploration and correlating it with more links, you can add depth to your content. The more your content tells about a topic, the more it will be searched by the users. The more it is searched, more traffic you will be attracting to your business. Google’s crawlers evaluate article titles, paragraphs, images and more to understand your content. A well-studied content will send correct signals to Google crawlers. Design of your website is equally important for its ranking. A goof website design will help in increasing your page views, lowering bounce rate, establish trust and earn you more links. • Call to Action, and a lot more. An SEO need to on page optimization elements fix to rank their website on top Search Engine Result Pages or SERPs. These were some of the key elements of SEL Blueprint. 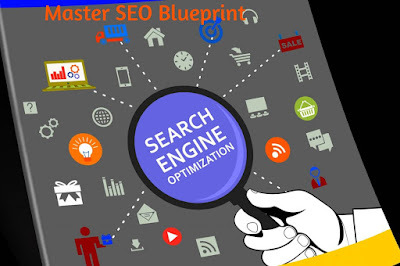 If you implement these elements in your SEO strategy, you will be able to rank your website in top search engine result pages or SERPs.